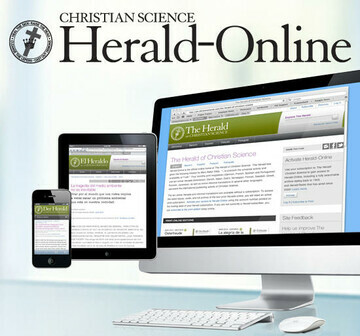 On April 1, 2013, after almost a year of planning, programming, and digitizing, the complete archive of The Herald of Christian Science in German, French, Spanish, and Portuguese joined the Journal and Sentinel archives on JSH-Online. And with the one exception, the linking to Concord Express, Herald-Online offers all of the search, read, print, download, bookmarking, commenting, and share features that the Journal and Sentinel have on JSH-Online. Read more about The Herald of Christian Science. What is included in Herald-Online? Explore over 110 years of the Herald. Use the powerful search engine to explore the Herald-Online archive. Search by author, title, type, or date, or by any word in the full text of every article. Read articles & testimonies. Herald-Online has over 70,000 Herald articles in an easy to read format, with enlargeable type. You can read on your computer, tablet, or smartphone. The whole archive is accessible at home or on the go. Listen to audio programs. Search, listen and share over 900 Herald Radio programs in French, Spanish, Portuguese, and German that have aired since 2000. Share, bookmark and collaborate. Share articles and audio with friends via email, Facebook or Twitter. Bookmark your favorite articles, or comment on articles with other readers. Download the latest issues. Full issues within the past 90 days are downloadable in PDF, ePub, and mobi formats. How can I access Herald-Online? Recognizing that the English text may hold less value for many Herald readers and that monthly credit card transactions may be challenging for many Herald subscribers, we are offering full Herald-Online access as part of every print subscription. In fact the only way a reader will be able to subscribe to the Herald-Online is by subscribing to the Herald in print. If you want to “go paperless,” we encourage you to subscribe to JSH-Online where you have full access to all of Herald-Online, as well as all the Journal and Sentinel, without having a print subscription.